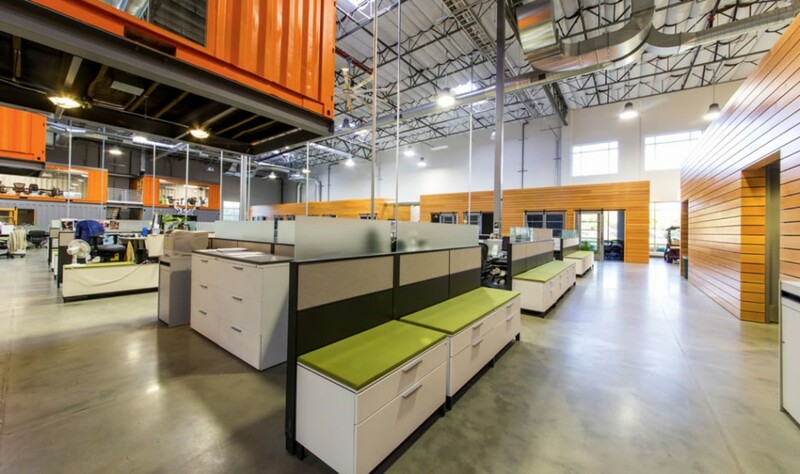 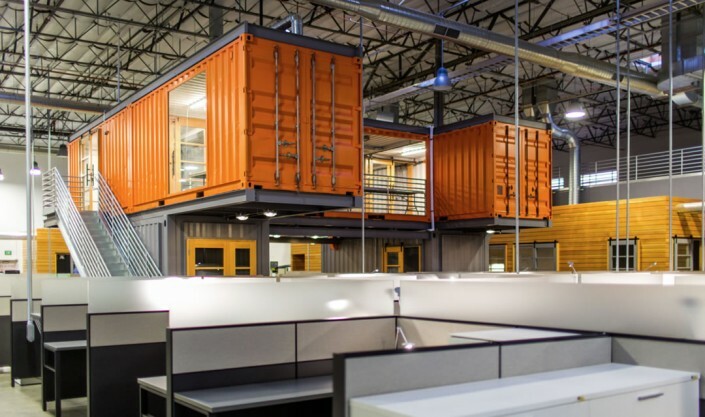 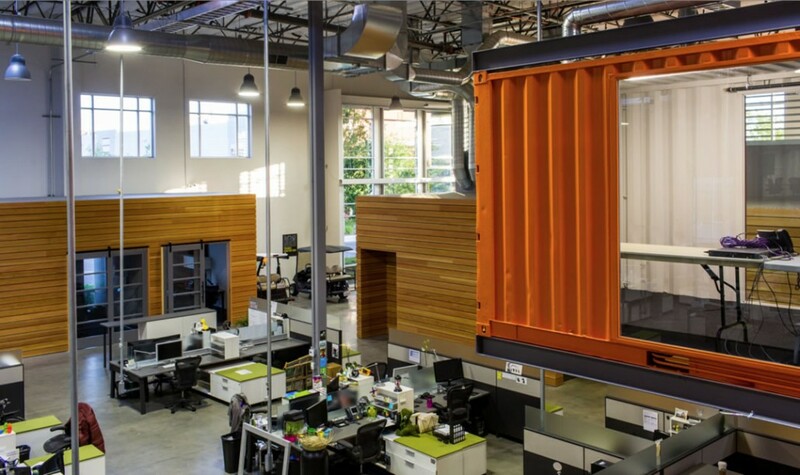 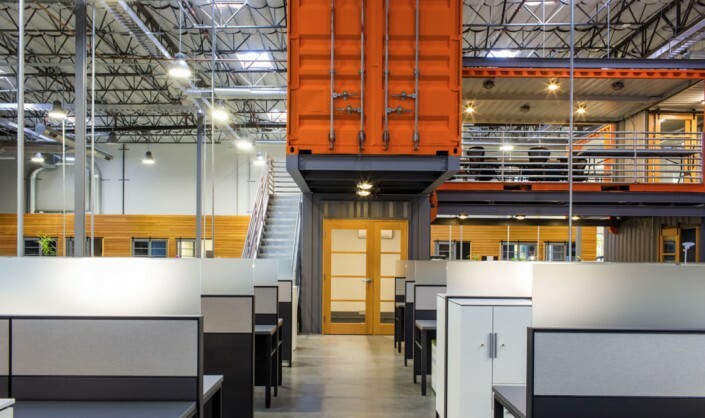 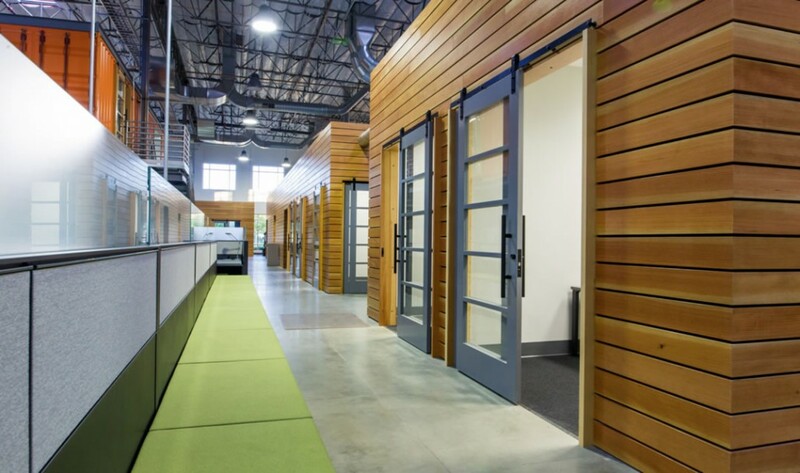 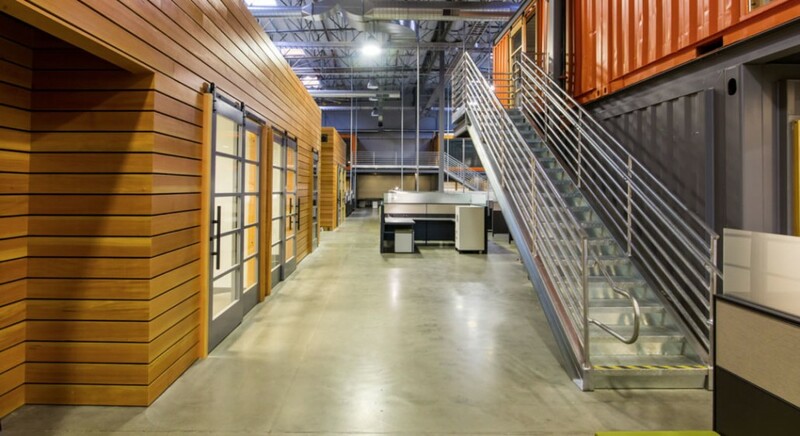 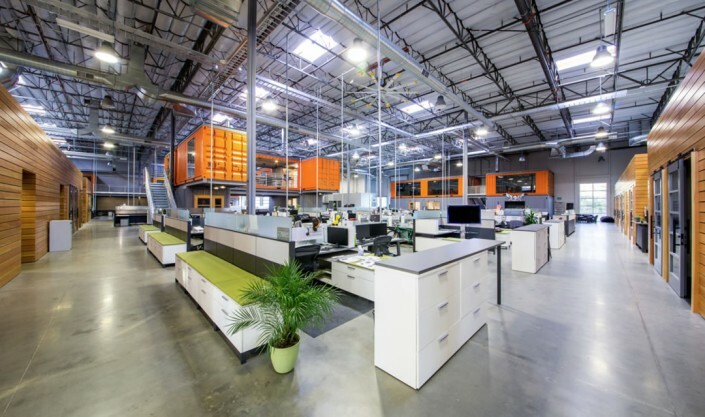 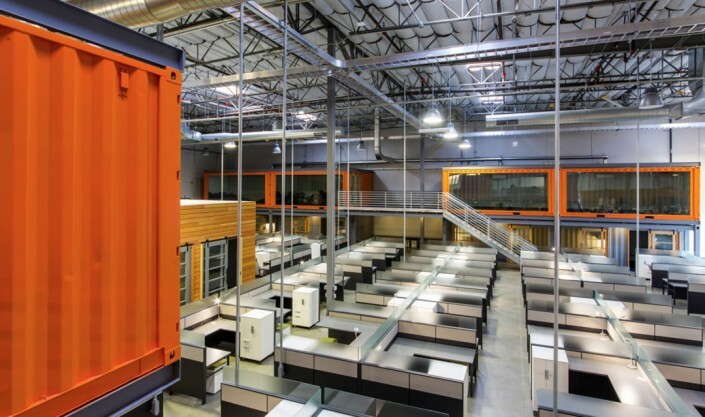 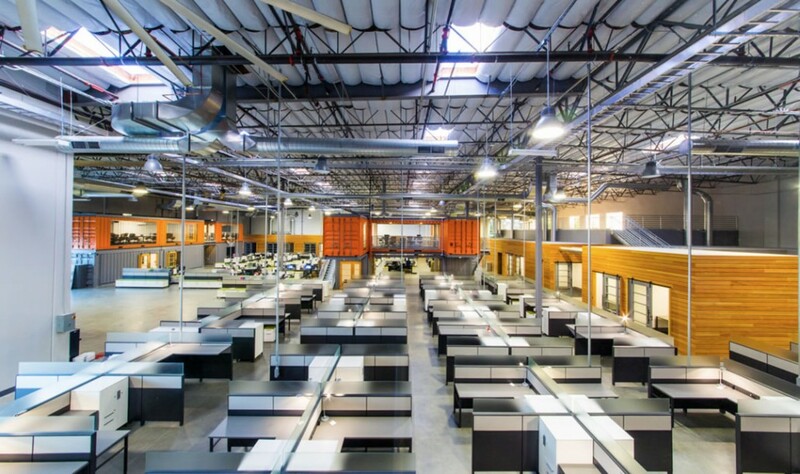 The key to our design for Oakley was the concept of an all-encompassing, self-contained community using shipping containers to sculpt the warehouse while preserving the company’s culture. The design challenge was to facilitate group dynamics so that people interact with each other in an open office environment. From almost any angle, the visual impact of the design is of spaciousness, bright color, simplicity and functionality. 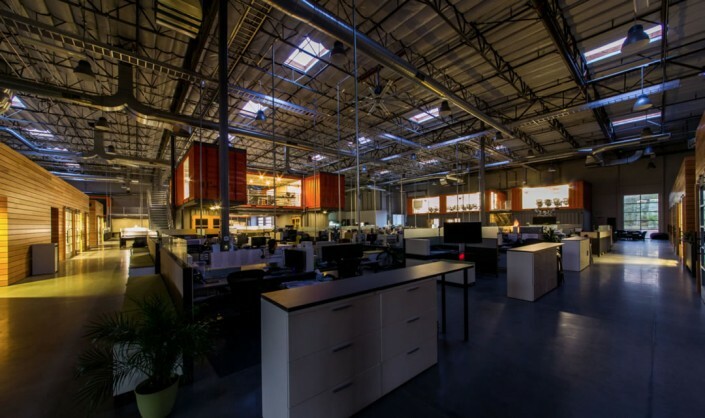 The design offers plenty of collaboration space, a variety of informal and formal meeting spaces, and workstations that foster a creative environment.